This was a class project that I carried out for a graduate interaction design studio class. In the class, we were free to explore any aspect of Holographic technology and choose our topic. My teammate Olivia and I came up with the idea of InSight. InSight is an informational solution that improves the efficiency of people’s daily life through the collection, organization, and retrieval of information. My role: research, ideation, storyboarding, filming, video editing, interface design, scripts. People deal with loads of information everyday. The process of understanding and memorizing information is time-consuming, and some important information is overlooked simply because people are too busy. Currently, information is recorded manually and passively–whether writing it down on a piece of paper or typing it into a computer. Sometimes the failure of collecting information can be caused by different factors such as insufficient time and absence of recording media. Why don't we invent a device that organizes information and reminds users when needed? Here comes InSight, a wearable, portable device that is able to track daily life and collect information for people. With the help of InSight, its users can focus on what interests them most and review other information later. 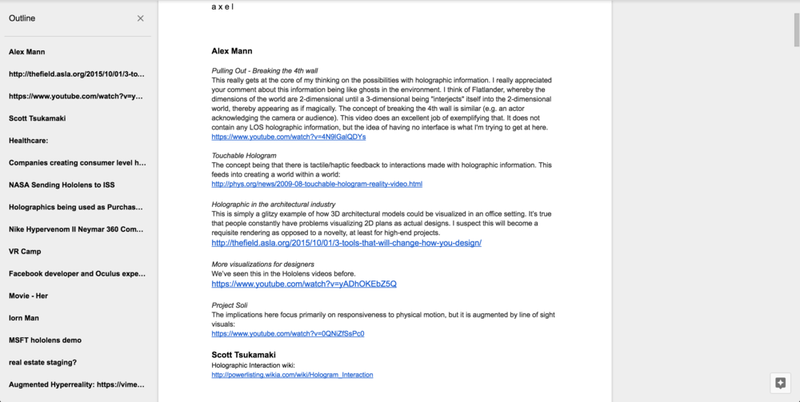 Our project started with some secondary research about the functions, advantages and pain points of the existing hologram products. 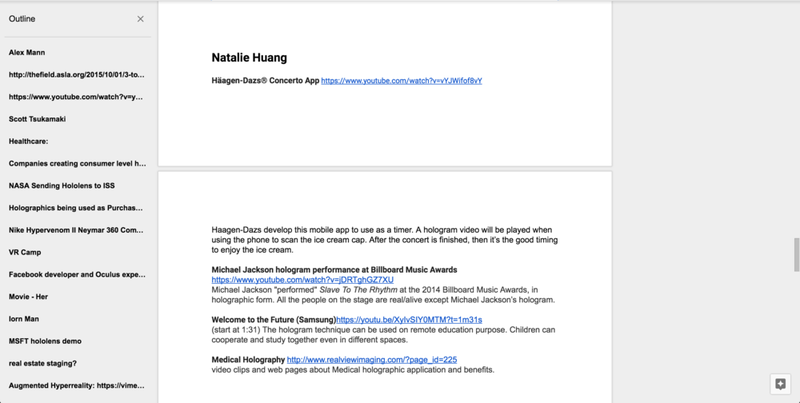 During the research, we also paid attention on why hologram devices are used. We were interested in the fact that the portable hologram device see what you see and hear what you hear. It can be a powerful tool to collect all the data/information people encounter throughout day automatically. It can help to store, categorize, and compile information into something useful. It can provide optimal suggestions based on general public database. We were trying to tell a story about how InSight is involved in a user's daily life.